There's a chill in the air which can only mean one thing: It's time for fall drinks! Take a load off after work and head to one of these bars for a fabulous happy hour sure to warm you up. 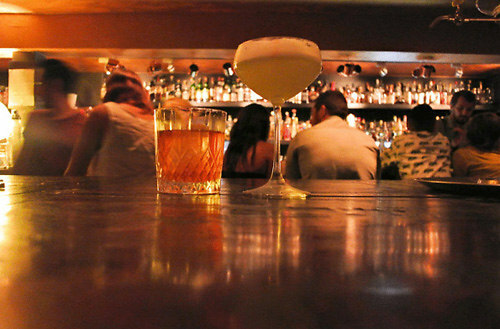 NYC's top mixologists have been busy concocting some wonderful fall drinks. From hot toddies to spiked hot chocolate, you'll feel all warm and fuzzy in no time... and maybe a little buzzed too.